Save the Cheerleader Save The World was the battle of cry of many geek during the first season of the television show Heroes. Hayden Panettiere was that cheerleader. Since then, she has rarely been off television. 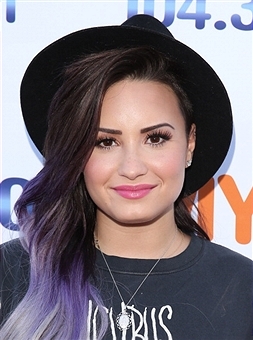 Currently, she is wowing fans on the TV musical, Nashville. Demi Lovato may have made her review a long time ago alongside a purple dinosaur in Barney & Friends but she is very much relevant in today’s Hollywood. After many years spent as a Disney Channel regular, Demi Lovato is now standing out as a recording artist and that looks set to continue for some time to come. No doubt Kevin Bacon is putting the candles in the cake today to celebrate his wife Kyra Sedgwick’s big day. Though, with all the Emmy and other award nominations that Kyra Sedgwick has received,their home is likely no stranger to celebrations. Many may remember her most strongly from her role on TV’s The Closer but Kyra Sedgwick has a long list of Hollywood credits that stretch far back to an appearance on the soap opera Another World. She currently has half a dozen productions either completed or in post-production. So, there is no sign that the door will be closing on her career any time soon. This one is really going to hurt for people of a particular age group. 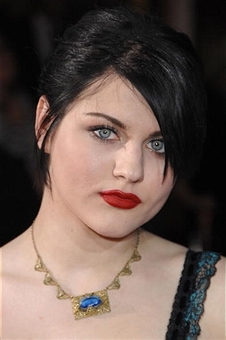 That’s right, Frances Bean Cobain, the daughter of Kurt Cobain and Courtney Love is now 21 years old. Yikes! For those of us who remember her being born and, of course, her father’s music and step into immortality, it is difficult to believe that all that many years of passed. 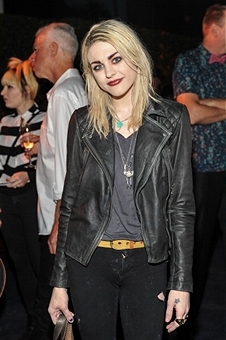 Frances Bean Cobain has done some modeling and has made a few steps into musicianship herself. So, it may not be too long before she can step out of the shadow of her parents and carve her own path to fame. Austin Butler is almost unrecognizable when he doesn’t have Vanessa Hudgens on the end of his arm. It does happen though and when it does, Austin Butler has been seen in everything from Zoey 101 to Ruby & The Rockits, Switched at Birth and The Carrie Diaries. Harry Potter fans don’t need anybody to tell them about Evanna Lynch. Luna Lovegood was a crowd favorite when Harry Potter and the Order of the Phoenix came out. The Irish born actress’s star has continued to shine in It Don’t Come Easy and G.B.F. There is surely much more to come from Evanna Lynch. If there is a current sweetheart of Hollywood then it is,without question, Jennifer Lawrence. A heroine to many a teenage girl because of her starring role in Hunger Games, she has also taken on much weightier material. Jennifer Lawrence won the 2013 Best Actress Oscar for Silver Lining Playbook and then found herself nominated for an Oscar again in 2014 for American Hustle. With the perfect combination of beauty and likeability, Jennifer Lawrence shows signs of joining the ranks of Hollywood Royalty. What a year it has been for Mila Kunis. Not only is she engaged to, her fellow The 70’s Show star, Ashton Kutcher but they are also expecting their first baby. From Forgetting Sarah Marshall to Black Swan, it is clear that Mila Kunis has never been afraid to take on different kinds of acting roles. She is even the voice of Meg in Family Guy. Mad Men fans can all surely agree that nobody fits the silver fox role as John Slattery. Roger Sterling is the perfect mix of slick salesman and somebody women think they can fix. 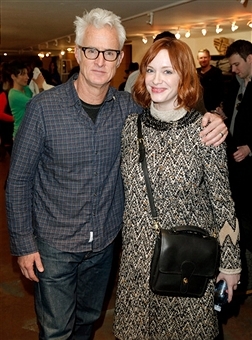 As the last season of Mad Men awaits viewing, it remains in question what John Slattery will be moving onto next. 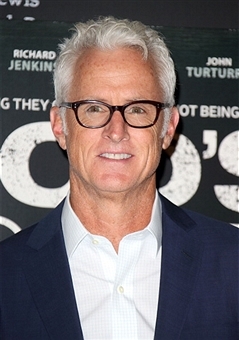 However, with his talent and the boost that comes with being a star of a series that many consider to be one the of the best of all time, the future certainly looks bright for John Slattery. If you are of a certain age and have been paying attention then you will have noticed Rebecca Gayheart as far back as the 90210 days when she played one of Dylan’s love interests. She didn’t stop there though. She’s been on Wasteland, Earth 2, Dead Like Me, Nip/Tuck and Firefly. 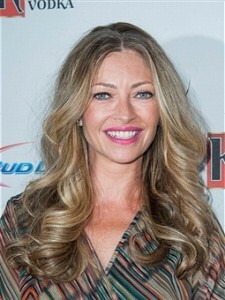 In short, if you have watched any sort of cult tv in the past decade then you know Rebecca Gayheart.